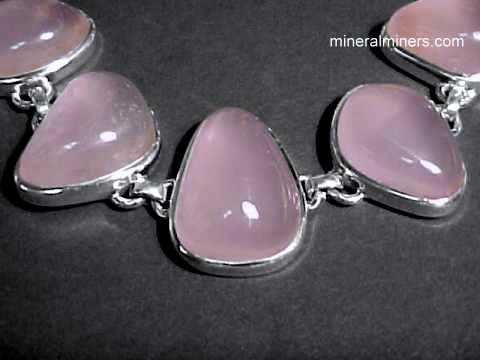 Star Rose Quartz Spheres and Eggs: natural rose quartz with asterism! compare our prices and our superior quality. 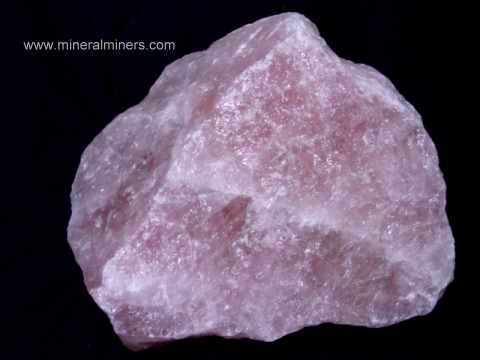 Click on any of our natural star rose quartz sphere or egg images below to enlarge it. 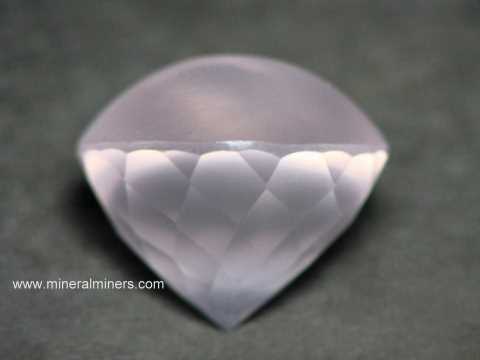 This rose quartz sphere very faintly shows the optical effect known as "asterism" which is visible as a six-rayed "star" reflection of light on the surface of the sphere when a single light source is shown upon it (under direct sunlight). 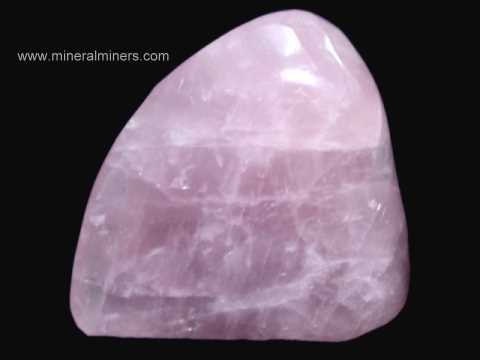 This rose quartz sphere measures 1.75 inches in diameter. It was hand-ground and finished with a good polish. 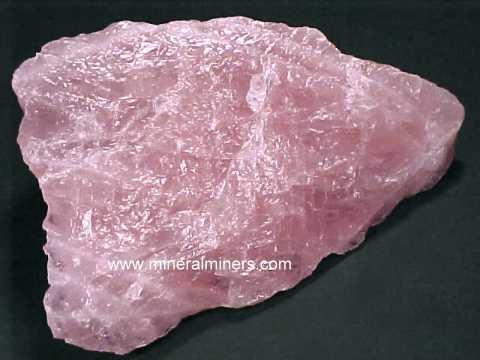 This rose quartz sphere is translucent to semi-transparent and has beautiful light to medium pink natural color. 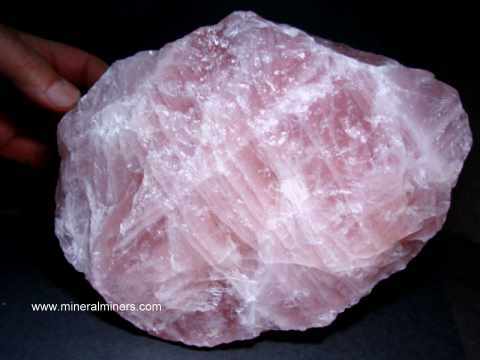 This rose quartz sphere measures 3.1 inches in diameter and has light rose-pink natural color. It is translucent to semi-transparent. This sphere also shows the optical effect known as "asterism" which is very faintly visible as a six-rayed "star" reflection of light on the surface of the sphere when viewed under direct sunlight. 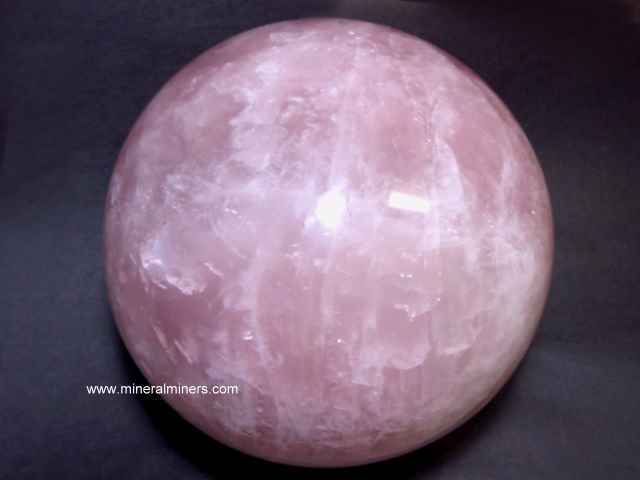 This star rose quartz sphere measures 3.4 inches in diameter. It was hand-ground and polished with a good finish. 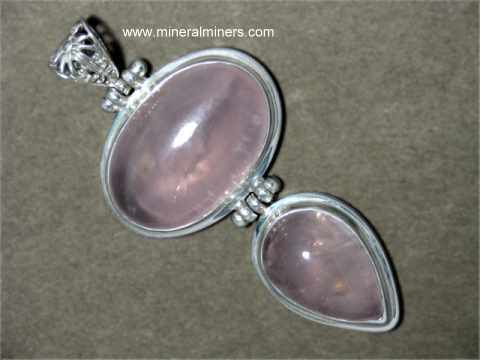 This star rose quartz sphere shows the optical effect known as "asterism" which is visible as a well developed six-rayed "star" reflection of light on the surface of the sphere as shown at left. 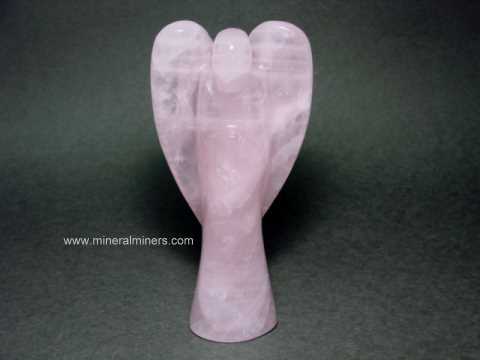 This rose quartz sphere is translucent to semi-transparent and has deep rose-pink natural color. 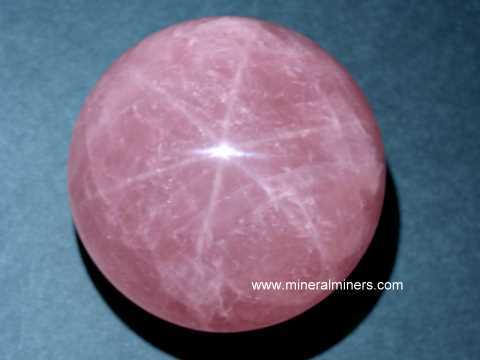 This star rose quartz sphere measures 3.2 inches in diameter. It was hand-ground and finished with a good polish. This star rose quartz sphere shows the optical effect known as "asterism" which is visible as a well developed six-rayed "star" reflection of light on the surface of the sphere (see a photo showing the 6-ray star in this star rose quartz sphere). 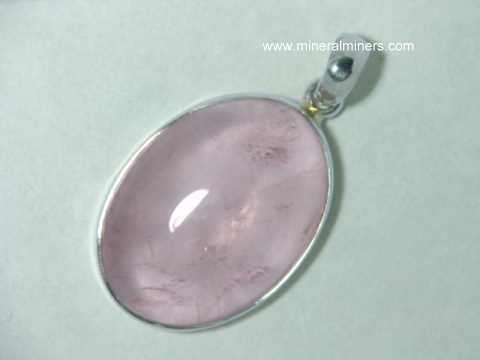 This rose quartz sphere is translucent to semi-transparent and has rare medium lavender-pink natural color. 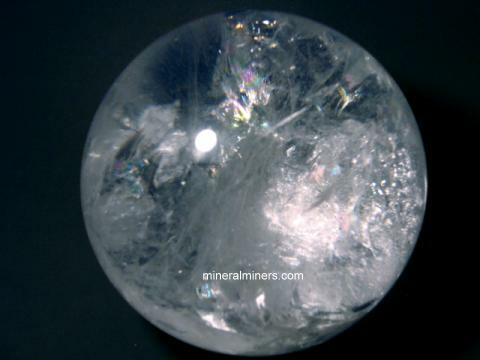 See also our genuine rutilated quartz spheres page, and our pages for natural quartz crystal balls. 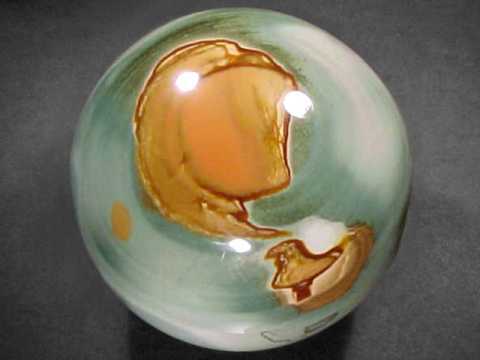 We have collectable mineral spheres available in many other natural mineral varieties. Our amethyst spheres were handcrafted from natural color purple amethyst crystals that were mined in Brazil, and our citrine spheres were handcrafted from natural color citrine crystals. Be sure to see some of our crypto-crystalline quartz sphere selections including some very beautiful jasper spheres and agate spheres with all 100% natural colors. 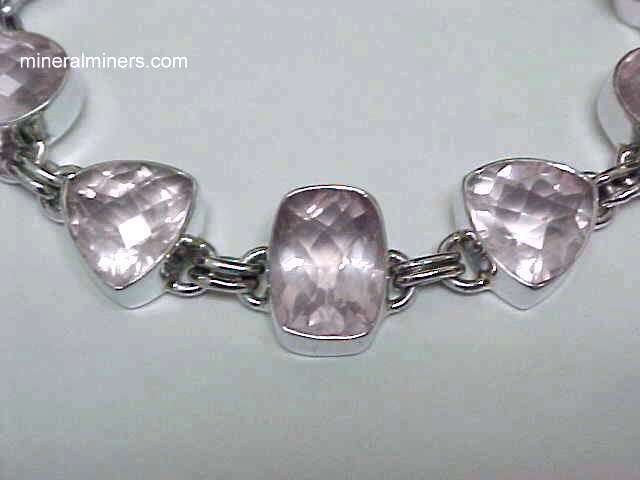 and then sawn & polished by hand into a natural color rose quartz sphere. They are unheated and untreated! 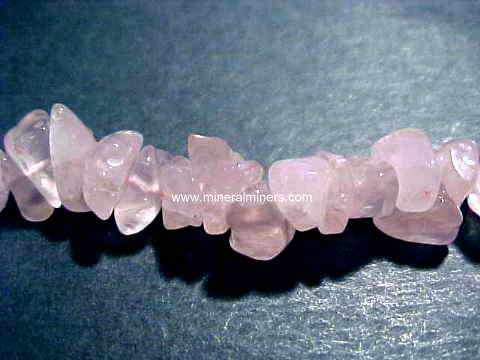 Would you like us to inform you when we add more genuine rose quartz crystal spheres on this page?